It’s simple. We like to look at pleasant things. The prettier the object is, the more operative the lines of communication become between those who are communicating and those they are communicating with. The pleasing design actively grabs attention. 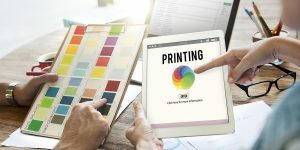 Graphic design is a key element in tailoring information, wrapping it up in an alluring package and delivering it to make the message powerful. It offers a consistent brand. A brand that is recognizable anywhere. Branding is not limited to only a logo. It applies to everything the company puts out- from emails, newsletters, cards, letterheads, etc. The selected logo becomes imprinted in the minds of your clients. It’s all about consistency. 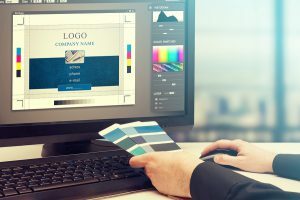 When a designer works with your logo / brand to develop a design that is to your liking, they are ensuring that things like headers, footers, etc. are at a sufficient font, size, and so on in order for the end consumer to be able to maneuver through the text. The designer will also ensure that the graphics are aligned with the message being delivered. Each logo is catered to the audience who’s interest is being stimulated. It is a hectic world. Your target audience moves onto the next thing quickly and forcefully. The purpose of graphic design is to stimulate the interest of your audience enough for them to stop, take in the message, and retain it for the future.